Originally published in an unsigned edition. 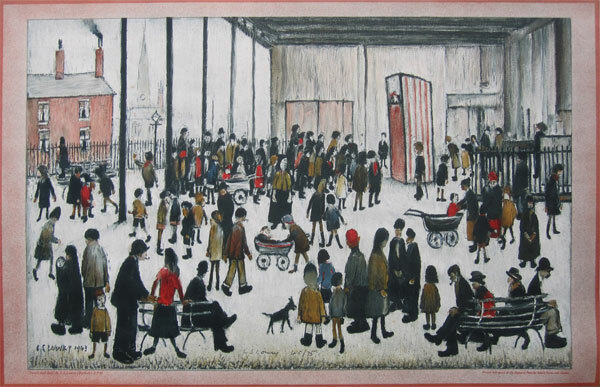 75 copies of the original 1947 edition were later signed by Lowry and released in 1972. Image 19.44 x 30 inches, 49 x 76 cm. Published This signed edition released in 1972.